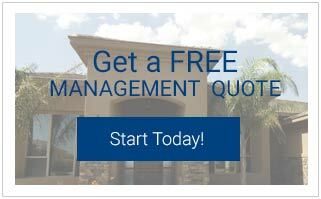 We offer a full range of property management services tailored to you as an investor. Benefits of using Starr Property Management, Inc.
We are proud to serve the area as one of the top Stockton property management companies. Our Stockton property managers are excited about the area and happy to share some information with you about it. Our Stockton property management services encompass the city which is located in the north central part of California, 83 freeway miles east of the San Francisco Bay area and 40 miles south of Sacramento. The city has an estimated population of 291,707 making it around the 65thlargest city in the U.S. While there are many Stockton property management companies serving this population, we think we are the best! 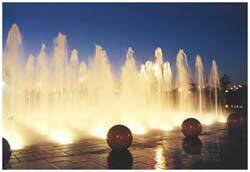 As the San Joaquin County seat it is located in the heart of the fertile Central Valley of California. A beautiful place to settle into a house for rent in Stockton. Just 60 miles from the San Francisco Bay Area and 45 miles from Sacramento, the State Capitol, Stockton has an ideal central location within the state. Stockton has a comfortable, affordable, California lifestyle enriched by the pleasures of metropolitan living without congestion, overcrowding and expense. Each Stockton property manager here at Starr enjoys the lifestyle! The area boasts 1,000 miles of waterways for recreation and has a great family atmosphere. There is an abundance of recreational, cultural and educational opportunities. Once one of our property managers Stockton helps you find your new house finding something to do on the weekend, or during the week for that matter, is certainly not a problem. Whether your interest is sports, arts and entertainment, festivals, golfing, or dining out -- there is something here for everyone. There are many wonderful neighborhoods where we have single family homes in Stockton for rent. As one of the best Stockton property management teams we are in a position to help you find the perfect Stockton rental property for you and your family. There is so much to love in the area, we know you'll find the perfect rental home in Stockton.